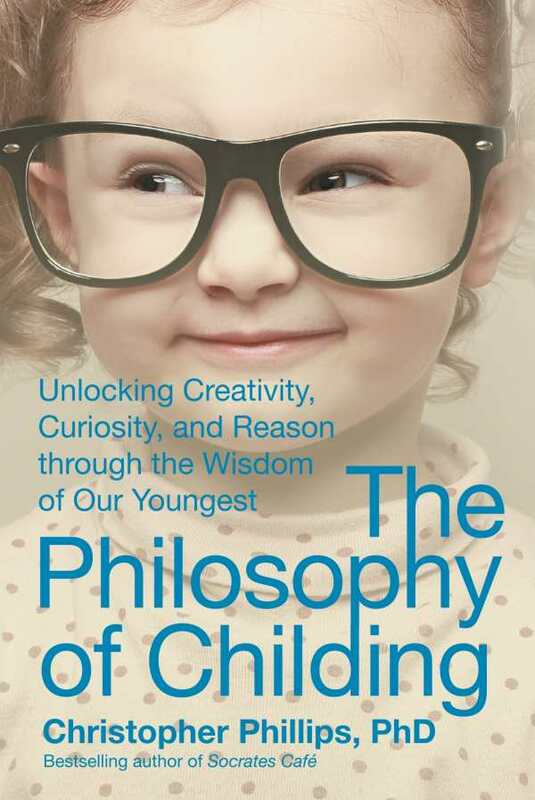 Exploring the roles and expectations of childhood onward, The Philosophy of Childing: Unlocking Creativity, Curiosity, and Reason through the Wisdom of Our Youngest challenges conventionally accepted views of aging and age-appropriate reason, from childhood and adolescence through to adulthood and old age. Christopher Phillips, creator of the original Socrates Café, poses questions and ideas by recounting personal experiences, sharing transcripts from various Socrates Cafés, and relating the wisdom of dozens of well-known (and obscure) philosophers, from Socrates himself to the Brazilian educator Paolo Freire and “moral philosopher” and Russian novelist Leo Tolstoy. More concerned with opening communication and dialogues than drawing hard conclusions, The Philosophy of Childing is a springboard for debate, addressing everything from moral development and imagination to the idea of “ripeness” as a human being. Phillips, a self-proclaimed Monopoly enthusiast with a penchant for quoting Shakespeare, mediates and gently guides while uncovering or recovering some of the most basic and fundamental joys of being a child, at any age.